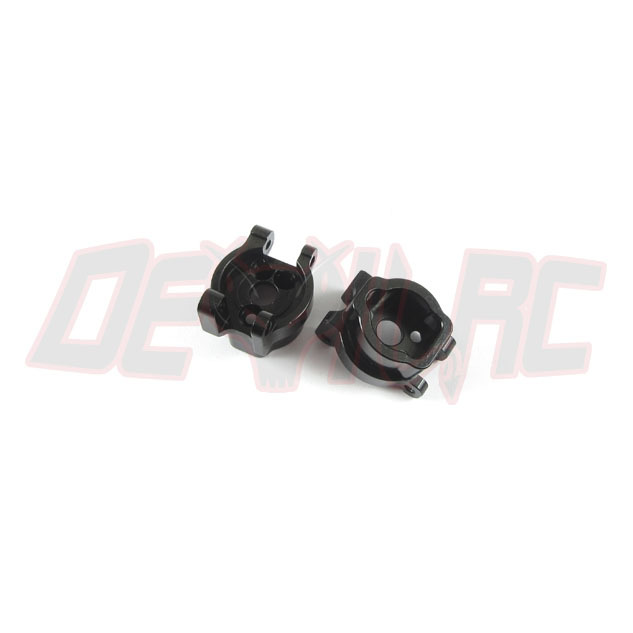 The Devil RC TRX-4 Rear Portal Drive Axle Mounts add strength and rigidity to your TRX-4 rear end. Machined from 6061 Aluminum and anodized black these are a great improvement over your stock parts. Includes L & R side and uses stock hardware to mount.